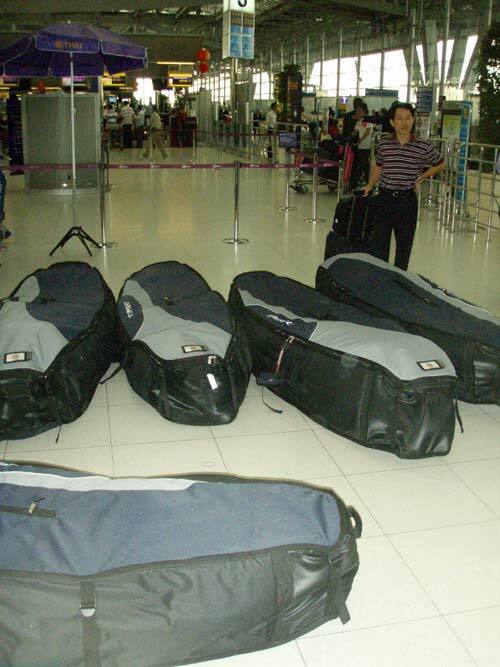 Remi Vila and myself brought 14 boards – Futuras and Kodes for 2010 – to test to Mui Ne. The wind was nice and stable and we could almost finish 11 boards. We will do some retests tomorrow. Today the northeaster was blowing with 12 to 22 knots and the shorebreak were calm. 14 boards in 5 bags. Starboard testprogramm for 2010. Remi in a talk with Pascal, the owner of Jibes and Fullmoon while getting the boards ready. 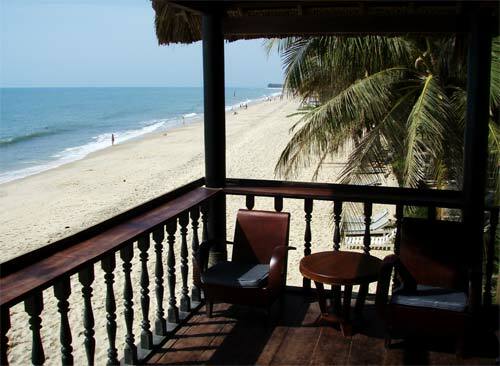 A view from the balcony of our room at the Fullmoon resort.